Thank you for your participation in the Jacksonville Seminole Club this past year. We are happy to announce that our club has strengthened its partnership with Florida State University in order to bring you enhanced programs and services as well as to better serve the needs of our university. FSU launched Operation Club in 2011 to enable all alumni, fans and friends within each area to be a part of the local club and stay connected to the university through their local club activities. Rather than ask you to pay local club dues, the Jacksonville Seminole Club is now asking you to join the FSU Alumni Association and/or Seminole Boosters, Inc. By joining one or both of these organizations, you will be supporting both the university’s mission and the Jacksonville Seminole Club, as the university will provide the club with base funding and additional events and programs. 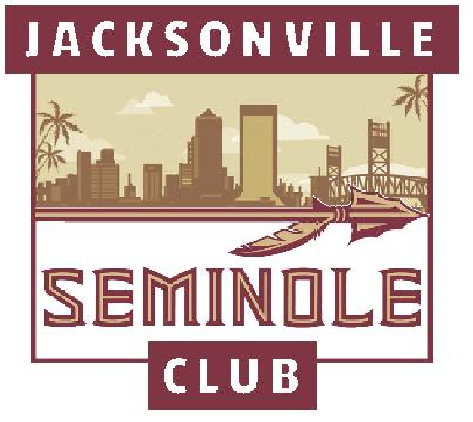 We urge you to continue your support of the Jacksonville Seminole Club through membership in the FSU Alumni Association and/or Seminole Boosters. Not only will you receive the many valuable benefits of membership in FSU’s national organizations, you will continue to receive local benefits such as discounted admission to select Seminole Club events and discounts from local vendors. Please do your part to help FSU remain strong – and continue your support of the Jacksonville Seminole Club – by giving back to FSU.